Those of us who work in the hospitality industries in Wake County talk everyday about how grateful we are for visitors to our area. We love showing off all of Raleigh’s assets, and we know that our businesses benefit from hosting out-of-town guests. In fact, it’s our bread and butter. 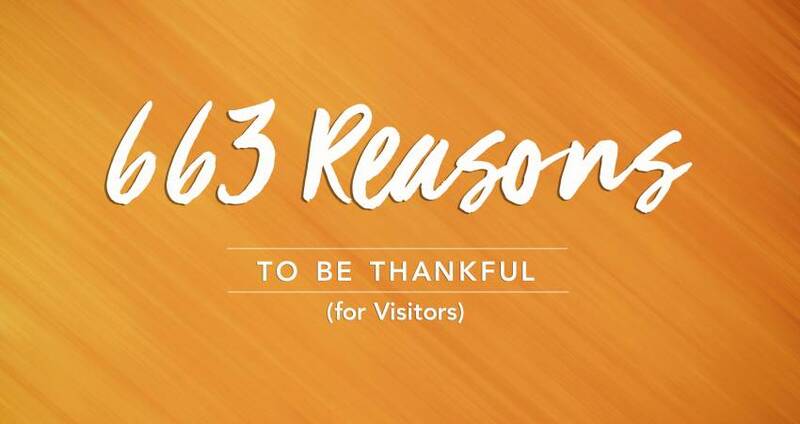 But we who are also residents of Wake County have at least 663 personal reasons to be thankful for visitors this year. Visitor spending, taxed by our local and state governments, saves the average Wake County household $663 on its taxes. That’s a pretty good chunk of change, probably enough to pay for whatever Thanksgiving feast you’re having and some of your Black Friday shopping, too. It&apos;s ample reason to stop and deliberately feel a moment of gratitude for visitors attracted to Raleigh, N.C.
Wake County&apos;s visitors stay on average 1-2 days, bringing new money to circulate through the local economy but not significantly drawing on our municipal services (courts, hospitals/public health clinics, libraries, public utilities, recreation centers, schools or social services) in the way that relocating resident households will. In this sense, visitors to Raleigh lighten the load, compared with some other forms of economic development, while lightening the tax burden of individual households. Additionally, visitor spending happens daily, so the return on investment from attracting area visitors is real-time, not years down the road. While we hear rumblings once in awhile about out-of-state license plates, we also aim to help locals better understand that, when visitors come into our area, the visitors are indirectly investing in our own community and, consequently, in all of our lives and Raleigh/Wake quality of life. As for us, we&apos;re grateful for Raleigh area visitors and for all of you. The happiest of holidays to you and yours!